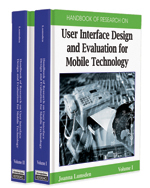 This chapter introduces the main trends in the design of interfaces for smart wheelchairs. It stresses the importance of taking into account their similarity with autonomous mobile robots and the restrictions posed by the special characteristics of the users (people with severe motor and speech restrictions) and the task (indoor assisted navigation). With this background, the main features of the user-wheelchair interface are discussed, justifying the need for the adoption of an adaptive approach. The TetraNauta smart wheelchair interface design is used to illustrate the design of user, context, and task models. In addition, it describes some mechanisms to enhance the communication rate when a single-switch-scanning input device is used (scanning rate dynamic adaptation and word prediction). The chapter finishes with a discussion of the influence of new navigation models, such as the behaviour-based one, in the design of the user interface. Smart Wheelchairs: Autonomous mobile vehicles devoted to improve the mobility of users with severe motor impairments that experience difficulties in driving traditional electric wheelchairs. A smart wheelchair typically consists of a standard powered wheelchair to which a collection of sensors and a computer (for control purposes) have been added. Modelling: A methodology that allows representing the available knowledge about users, tasks, context, and so forth, by means of relevant and observable parameters. Adaptive Interfaces: Intelligent user interfaces able to adjust their operation to the current situation, based on the actual values of diverse parameters which are defined in models. Word Prediction: Consist of a set of techniques based on diverse methods, such as statistics or natural language processing, that allow the system to anticipate the word that the user is trying to input. Navigation: The set of procedures followed by mobile vehicles or people to select a trajectory from one point to other and to move following it. Input Device: Any machine that feeds data into a computer. In this context, input devices are typically the appliances handled by humans to interact with computers. Shared Control: A robotics control paradigm where the navigation tasks are developed by both the system and the user, in a collaborative fashion.